Busy recreational facilities often have a high turnover of visitors, and whether it’s a swimming pool, a tennis club or a large sports arena, all facilities need to provide somewhere safe for people to secure their belongings. 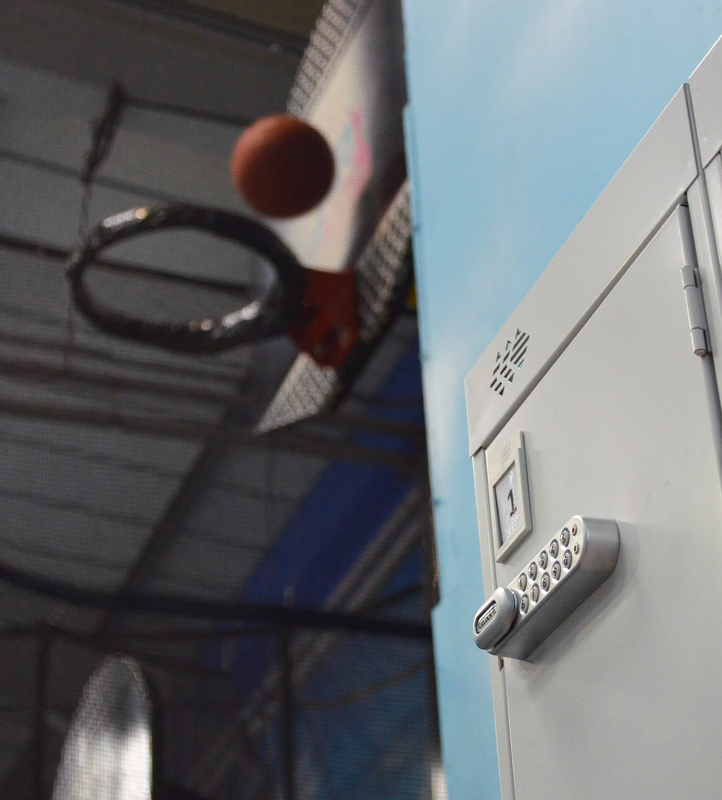 Also, depending on the sport, locker keys can present a risk of injury, and to avoid the problem, many leisure facilities opt for a keyless locking solution for the lockers in their changing rooms. The challenge is to find a range of keyless locks robust enough to cope with the volume of customers using the lockers day-in, day-out. This is exactly the position Nick Collier, general manager of trampoline park, AirHop, found himself in when the keyless locks originally fitted to the lockers at his facility kept breaking. On top of their unreliability, the locks were also not very user friendly and staff spent a great deal of time with customers explaining how to use them. Nick saw how easy the KitLock 1000 digital cabinet lock was to use while at another facility and immediately contacted us for help. We provided him with 80 replacement cabinet locks and an installation and training service. Members of our technical team gave AirHop staff detailed demonstrations on how to operate and maintain the locks, while easy-to-follow instruction stickers were placed inside each locker for customer reference. Find out more about AirHop’s requirements in the full case study. For more information on the robust KitLock 1000 lock, visit our website or call 01635 239645 and we’ll be happy to discuss your requirements.